BD Police Job Circular 2019 Published. 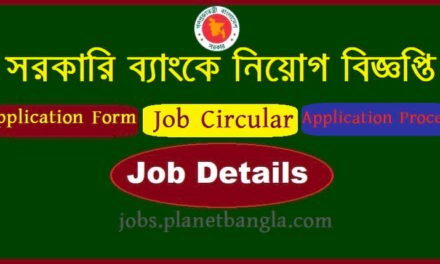 If you are looking for Bangladesh Police SI job Circular 2019 then this is the right time for you. 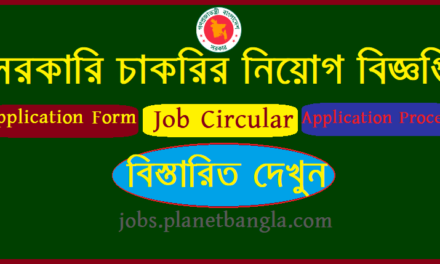 Bangladesh Police Sub Inspector SI job circular 2019 has been published last 4th April. So now this is a goldwn opportunites for all of bangladeshi pepole who are always try to start his career with BD police. DO if you are confident and all required qualification you have then dontbe hegitet to apply the job. Go to the Physical Exam please in the right time to show that you are capable to get the police job in Bangladeh. Interested candidates read well all the subjects mentioned in the notification and then apply for job / Physical examination. To apply for the physical examination and to apply for a job, please apply with all the test certificates and all the documents mentioned in the notice. Don’t be forget to Subscribe to our Facebook Messenger to get any job news in Bangladesh, including Daily jobs news, today job news 2019, daily job published, recruitment news, cakrir khobor, cakrir potrika, government job 2019. The notifications will be sent to your messenger only when new job news is published. To get a notification in Messenger, click here https://m.me/PlanetBanglaOfficial. Also, allow the notification of Planet Bangla website. Besides, if you want to get your job details, including application details, job descriptions, on the Planet Bangla job site, you can get your e-mail in the email, do not forget to click the subscribe form below and click the SUBSCRIBE button.